If it weren't for all the interruptions I had yesterday, I would have finished them a lot quicker, and would have made some more. Paper-piecing has an addictive effect on me - once I get over the first block I do not want to stop making them! I used a lot of my scraps, and was surprised to find out that for each fabric combination I had chosen, I had the exact amount of fabric I needed. No way! This time, instead of vellum paper I used the product shown at right, which allows you to actually leave the paper in. I have not tried it on a quilt yet, but since I wanted it to be sturdy, I did not mind the extra layer. I got the pattern from the book Cups and Saucers by Maaike Bakker. 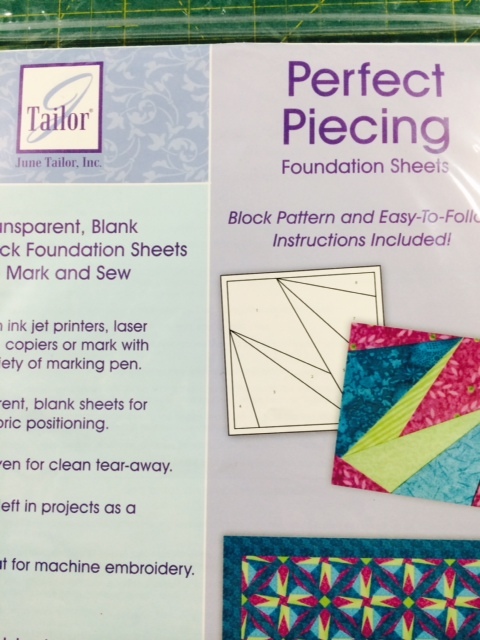 If you have never done paper-piecing before, she shows you her method for cutting the fabrics, gives details about the paper-piecing process, and provides lots of pictures to help. 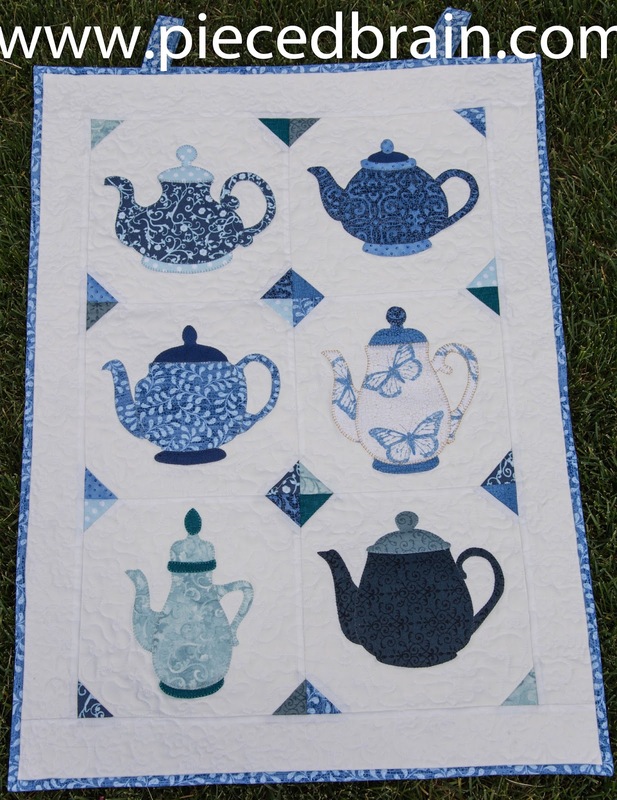 The book features large and small projects such as wall hangings, table runners, and place mats with saucers, cups, boxes, bowls, teapots, jars... 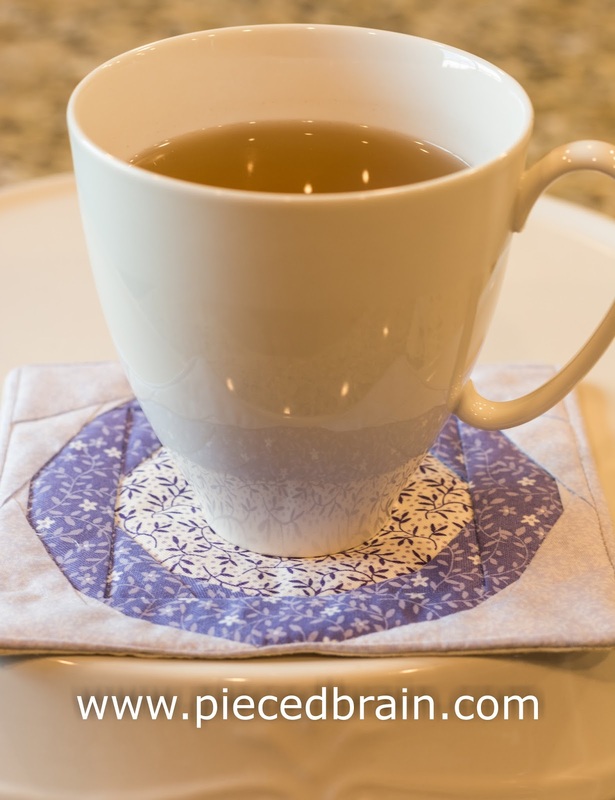 If you really want to go small, do like I did and pick one of the patterns for mug rugs (of course, if you make a few like I did, it will defeat the purpose!). Her bright fabric choices were a treat for my eyes since the sky was melting into snow outside while I was looking through the book. Maaike's patterns are super fun particularly one with blue dishes called Dutch Dishes, which would look awesome next to my wall hanging with blue tea pots, don't you think? I am happy with my very first mug rugs. 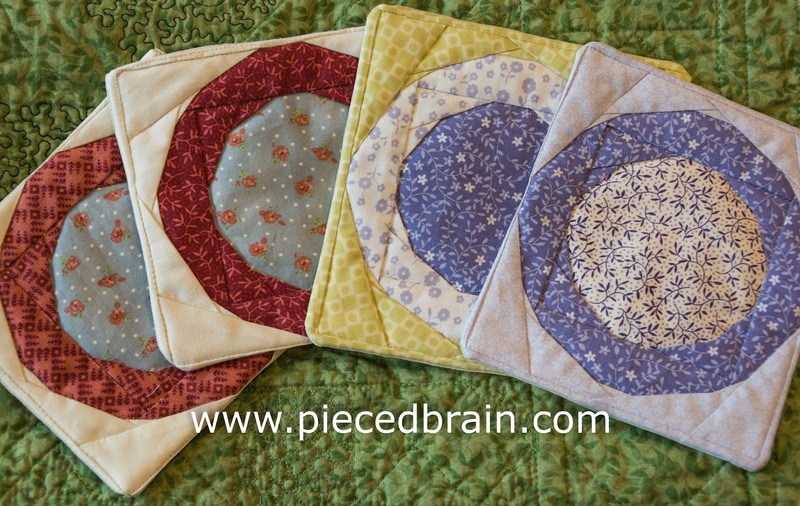 Some of my friends are, too, so it looks like I will be stitching more of these! 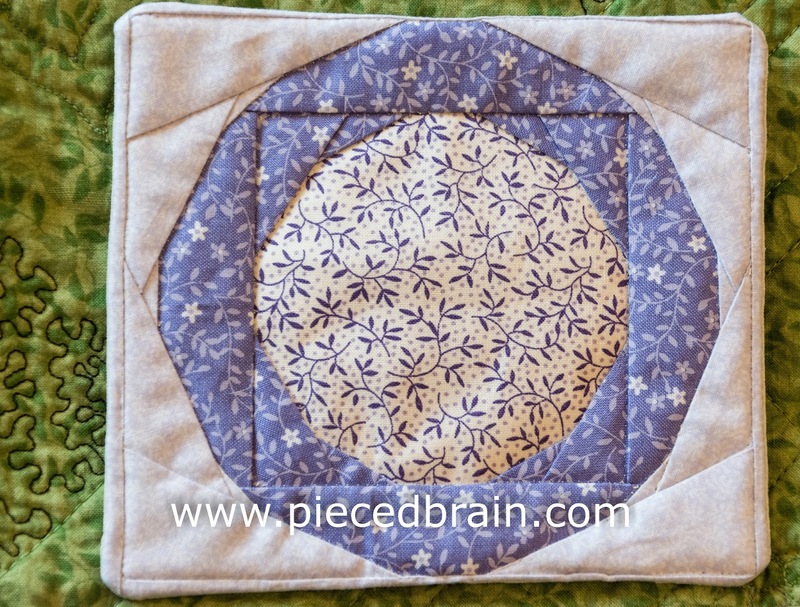 Before you go, don't forget to check out the new block for the City Girl Sew Along I posted yesterday. Have a great weekend! What a clever idea: functional and adorable.